The Princeton Dialogues on AI and Ethics case studies were developed in accordance with the following five governing principles. 1. Empirical foundations. Though fictionalized, the Princeton Dialogues case studies were developed from examples of existing AI technologies. This empirical grounding has produced rich cases, and has helped to guard against potential impulses to sensationalize the ethical issues at stake in AI design and deployment. 2. Broad accessibility. 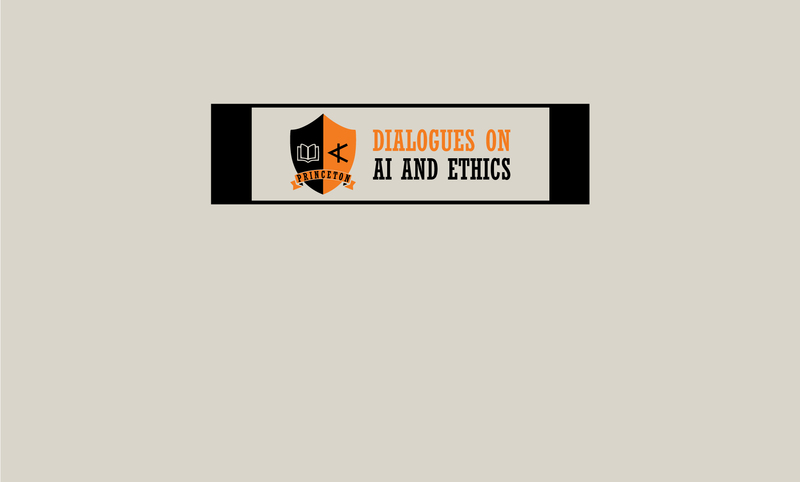 Having been born out of a series of interdisciplinary workshops that brought together both academics and AI practitioners, the Princeton Dialogues case studies were designed to be accessible to audiences across a wide range of academic and professional backgrounds (e.g. philosophy, social science, computer science, public policy, etc. ), and at differing levels of sophistication. They therefore provide significant explanatory information about technical concepts in ethics, law and engineering for readers not experienced in these fields. 3. Interactiveness. In addition to the “Reflection and Discussion Questions” that follow each case study–and are designed to encourage deep, critical thinking about the ethical issues being highlighted therein–the cases are punctuated by shorter, targeted “Discussion Questions” that provide readers with the opportunity to stop, consider and engage with the narrative. These questions typically produce robust discussions that build upon each other and inform the later parts of the case. 4. Multiple viewpoints. Rather than represent the perspective of only one actor or set of actors in a narrative, these longer-format cases shift between the perspectives of various stakeholders. This fluidity forces readers to inhabit multiple viewpoints from the beginning to the end of the case. As a result, readers are encouraged not to think in terms of “bad actors,” but rather, to try to understand the various internal and external circumstances and incentives that may produce values clashes. 5. Depth over brevity. The Princeton Dialogues case studies employ a narrative style that embraces the multiple, intersecting ethical dilemmas at stake in any one example. This means the cases are quite long (5-10 pgs) and complex as compared to case studies that focus only on one particular ethical issue. The cases are, as a result, primarily geared towards the kind of learning environments in which they can be assigned and read in advance of group discussion.